We’re enormously proud of our West Country roots, creating homes and neighbourhoods that strengthen the local communities that we live and work in. In 2015 we made Hospiscare our nominated charity, and spent the year raising over £12,000 for this vital and inspiring organsation. Hospiscare has centres providing care and support for patients and their families living with a terminal illness in Mid Devon, East Devon and Exeter. We pledged £50 for each open market sale, and our staff took part in a number of fundraising activities. We had a team in the Great West Run, we organised a charity ‘Bake-Off and had themed work days, a Golf Day and two cabaret evenings. Hospiscare were delighted to award us the local company where the staff had raised the most money per employee. 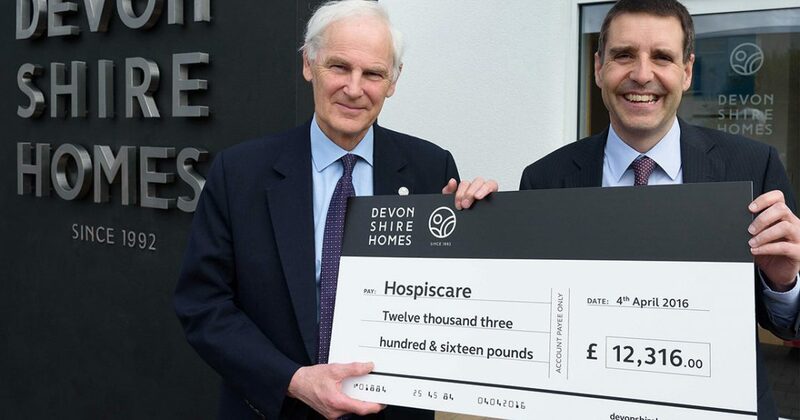 Following this success, we decided to continue our partnership with Hospiscare for 2016 – this time helping them refurbish some of their patient facilities at their Tiverton centre, Pine Lodge.